Hello again. At the time of writing this article, it is another glorious winter’s day. I hope you are all in a position to appreciate the beauty of the area in which we live. There are many stressors in all our lives. However, when I’m feeling the pressure, I like to take a walk on the beach or into the mountains or by a waterfall. Montville and Flaxton are at the very top end when it comes to natural beauty and wonderful places to live. As usual, the crime rate in this area remains low. Since my last article in April, there have been 39 policing occurrences in Montville and 34 in Flaxton. Again, less than 10 per month, which is fantastic, especially considering the population growth and tourism numbers attracted here. In late April / early May, there was an offender getting around the Flaxton area committing burglaries. One dwelling got broken into several times and a large quantity of jewellery stolen. It appeared that the offender was local, or at least temporarily residing in the area, and was moving around the area on his bicycle. Although there were a couple of interesting leads which pointed towards a certain individual, these offences have remained unsolved. If anyone has any information relating to these matters, please contact police or Crime Stoppers on 1800 333 000. On the 26th of April, Chocolate Country in Montville was broken into. It appears that the offender forced entry during the early hours of the morning by smashing a window. The offender stole the till containing a sum of cash and a laptop computer. A 35-year-old Diamond Valley man has been charged with this offence. On the 29th of April, a 21-year-old Conondale man was intercepted for a traffic stop on Flaxton Drive. As a result of the observations of the police, a search was conducted of the vehicle and a significant quantity of drugs and weapons located. Subsequently, the man was charged with drugs and weapons offences. In mid-June, a Montville business reported a case of fraud where a customer failed to pay for a service provided. 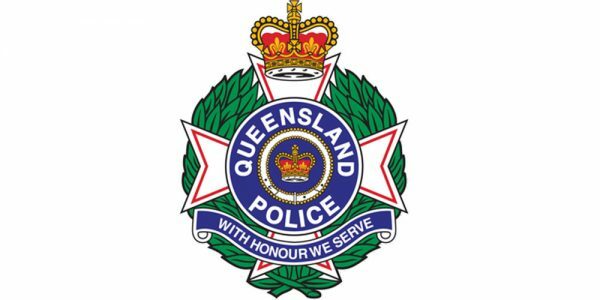 Subsequently, the offender was identified and a search warrant executed at his home in Caloundra. As a result of these investigations, a 52-year-old Caloundra man has been charged with multiple counts of fraud, stealing and possession of tainted property. On the 24th of June, the theft of a Honda generator from a property on Flaxton Mill Road was reported. The theft could have occurred any time over the previous four months and there were no suspects and no leads. However, due to some good investigative work, the offender was identified and a 36-year-old Nambour man has been charged. Police have attended several domestic violence incidents in Montville and Flaxton over the past few months. I’m pleased to say that none of these incidents are what police would describe as serious incidents. On each occasion, the people involved were referred to counselling agencies and no further police action was taken. On the 4th of August, a 25-year-old Fortitude Valley man lost control of his vehicle on Razorback Road and crashed. The vehicle was travelling uphill towards Montville and the length of the skid marks on the road prior to the crash indicated that he may have been travelling just a tad over the speed limit (maybe you can detect some sarcasm here). The driver suffered a dislocated shoulder and other bumps and bruises and was conveyed to hospital by ambulance. He was also issued with an infringement notice for his driving behaviour. In an ironic twist, the police officer that attended this crash, witnessed this same vehicle driving erratically in Brisbane only a few days earlier. The officer was off-duty and spending some time away with his wife and family. The vehicle’s manner of driving on that occasion caused the police officer to take note of the vehicle’s description and registration number and lo-and-behold, a few days later, it crashes in Montville and the same police officer attends. The karma bus certainly caught up with that driver. On the 29th of April, a 50-year-old Mount Coolum man was intercepted on Main Street, Montville, and charged with unlicensed driving. On the 18th of July, a 55-year-old Flaxton man was also intercepted on Main Street, Montville, and issued an infringement notice for unlicensed driving. On the same day, a 41-year-old Maleny man was intercepted on Flaxton Drive and charged with unlicensed driving. You may have noticed that some people are issued infringement notices and others are charged and put before the court. The action taken in these types of offences depends upon the circumstances of the offence and the previous history of the offender. Police have received multiple complaints in the past few months regarding driving behaviour on all the major roads surrounding Montville and Flaxton. Please be aware of your driving behaviour. Obey the road rules and show courtesy to other road users, including motor vehicle drivers, bicycles and pedestrians.